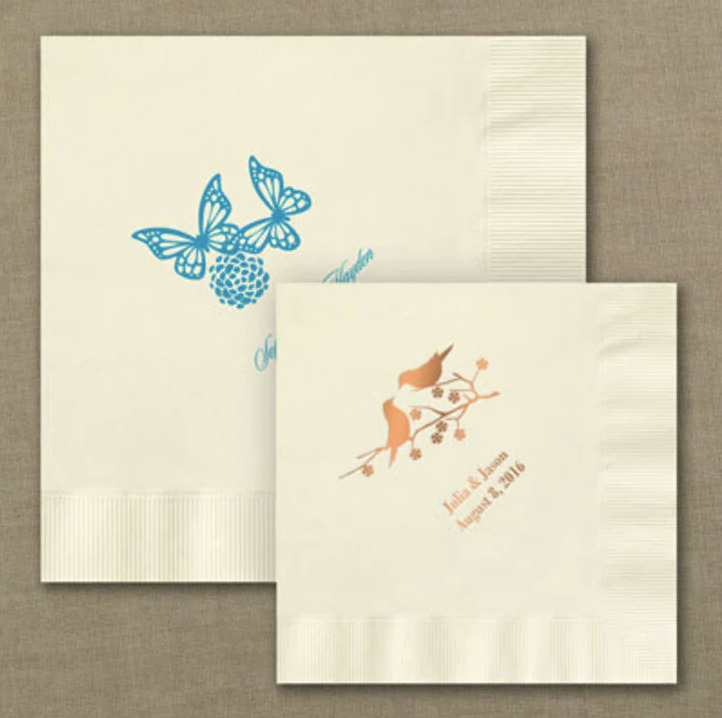 Personalized napkins make a great gift idea for an open house, bar gift or bartender! Custom design your own personalized cocktail napkins. Available in a variety of colors, sizes and designs. Great idea for Parties, Weddings, Anniversaries, Showers any occasion! Other Personalized Party Items Not to Miss!